The new GST regime is likely to have a significant bearing on the way transportation and storage of goods happens across the country, domestic rating agency Icra has said. Rollout of the new indirect tax regime - Goods and Services Tax or GST - will likely improve the flow of goods on account of reduction in turnaround time as value-added tax- or VAT-related check posts will be removed, domestic rating agency Icra has said. This may lead to 15-20 per cent reduction in truck stoppage time, it added. 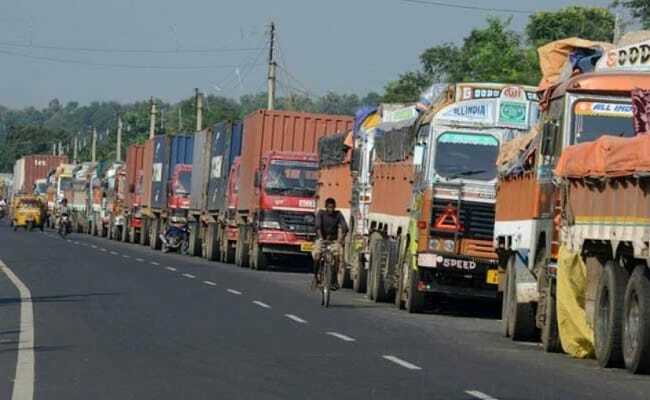 The new GST regime - scheduled to be implemented from July 1 - is likely to have a significant bearing on the way transportation and storage of goods happens across the country, said Icra, which expects a more efficient and organised logistics sector to evolve gradually. "As the additional 2 per cent CST (central sales tax) levied on inter-state sale of goods cease to exist warehouse location would no longer be based on tax considerations and instead would be based on demand considerations - this would also result in consolidation of warehouses," Icra said in a statement. Icra expects that over time there will be a shift towards a 'hub and spoke' model in which fewer but bigger trucks will move between bigger warehouses. "In addition, flow of goods is expected to improve with reduction in turnaround time as VAT related check posts will be removed. It may lead to 15-20 per cent reduction in the truck stoppage time," the agency said. However, the draft "e-way" bill rules have a provision that allows the authorities to carry in-transit checks, which may limit the benefits of reduced bottlenecks, Icra added. Icra further said that GST implementation may lead to higher preference for organised logistics companies. Transporters will be required to be GST-compliant for their customers to receive input tax credit. High costs related to GST implementation will make it difficult for unorganised sector players to be GST-compliant. Currently, about 90 per cent of the truck fleet is owned by small fleet operators. After GST, they will shift from operating as independent transporters to attached fleet for organised logistics companies. Accordingly, Icra expects a gradual shift towards an organised logistics sector under the GST regime, it added. Meanwhile, the GST Council earlier this month put 1,211 goods and 500 services in four tax slabs of 5, 12, 18, 28 per cent.